Tigger is a very sweet old cat, thought to be around ten years old. He’d love to live out his twilight years in a home to call his own. He’s a lap cat, and needs someone who could devote plenty of time and attention to him. 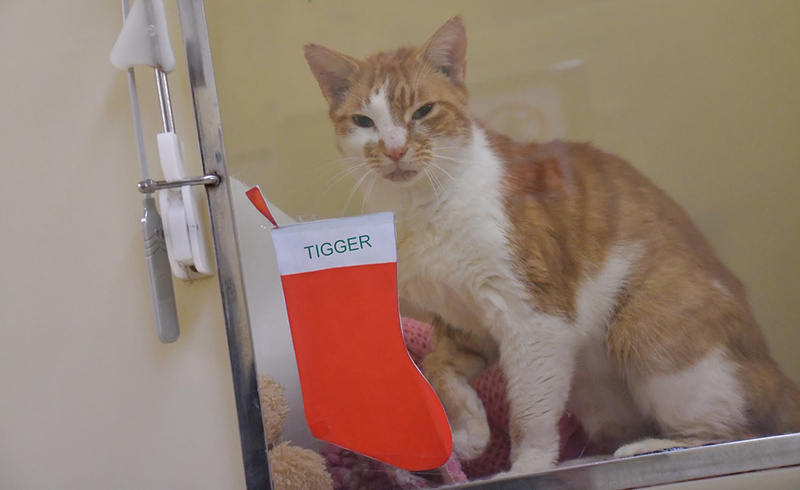 If you are interested in adopting Tigger please get in touch with the RSPCA Southall cattery directly, or to see all the animals available for rehoming at the RSPCA click here.